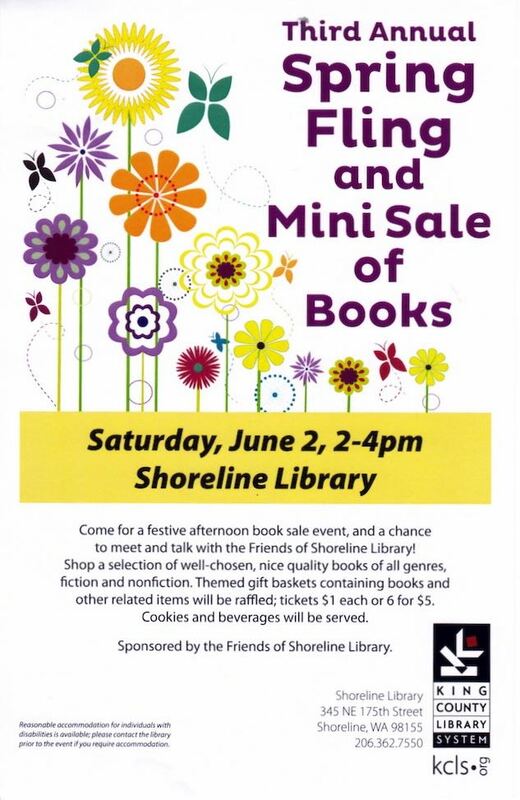 The Friends of Shoreline Library are continuing the fun with their 3rd annual Spring Fling. This is a drop-in two hour social to meet the Friends, perhaps even join us! The Shoreline Library reopened May 20. Come see the beautiful new space. The Friends group will have a small book sale of some well chosen, slightly higher priced books.